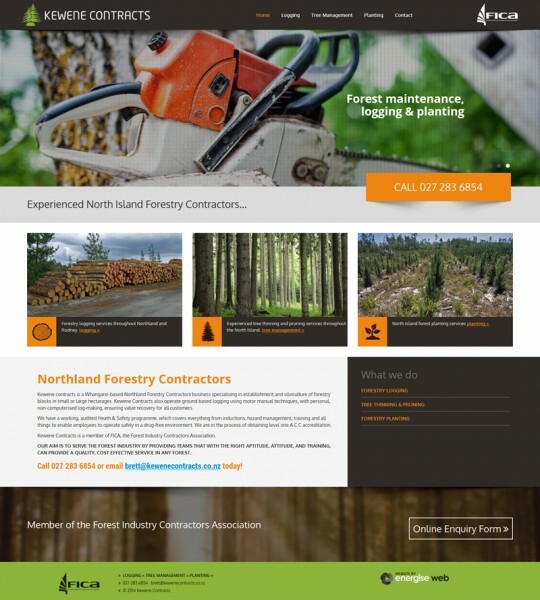 Kewene contracts is a Whangarei-based Northland Forestry Contractors business specialising in establishment and silviculture of forestry blocks in small or large hectarages. Kewene Contracts also operate ground based logging using motor manual techniques, with personal, non-computerised log-making, ensuring value recovery for all customers. We have a working, audited Heath & Safety programme, which covers everything from inductions, hazard management, training and all things to enable employees to operate safely in a drug-free environment. We are in the process of obtaining level one A.C.C accreditation. Kewene Contracts is a member of FICA, the Forest Industry Contractors Association.